At the end of February, my people start preparing for the change in season. 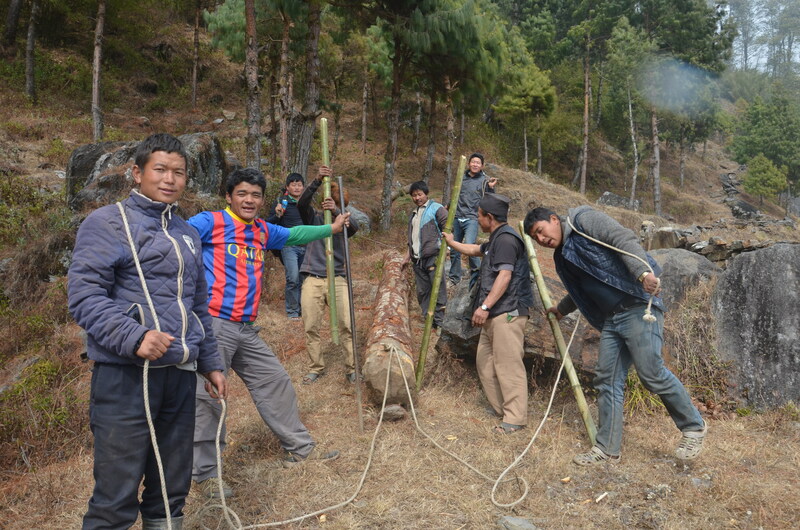 We gather firewood to cook meals and Himalayan bamboo to roof our homes. We build sheds for our pet animals and collect cooking items like salt, oil and sugar, which we cannot produce ourselves. Once we have collected and managed all necessary items for the approaching Summer, those that are physically capable head to the Everest region in search of a trekking job in early March. The Kulung, one of Gurkha clan, are famous worldwide for being warriors of strength yet poor by wealth. You can guarantee that a Kulung will be smiling despite their hardship and the huge weight they carry on their shoulders while on the Everest trails. 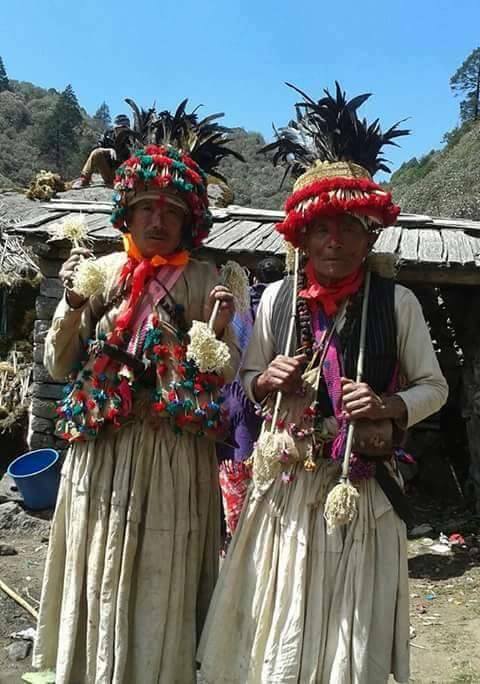 The ancestral home of the Kulung people is called the Mahakulung, which lies in the lap of Mount Everest. I love my home and honestly believe it looks like a piece of heaven in the summer season, surrounded by green farming lands and rolling hills. In Spring, most parts of the Mahakulung look dry, but some parts are decorated by Himalayan blooming flowers like Rhododendrons and Orchids. Because Spring season is not too busy for farming, some of the Kulung women can be seen knitting traditional clothing on a large loom outside their houses. Anyone who is physically able is most likely on the Everest trails at this time. Only children and the elderly remain at home. During Spring, my people bring their pet animals from the jungle to their field because it creates good dung manure for farming. You will hear people on the fields and at the sheds singing traditional songs in groups or by themselves. Hundreds of warbling birds join in adding to the joy. 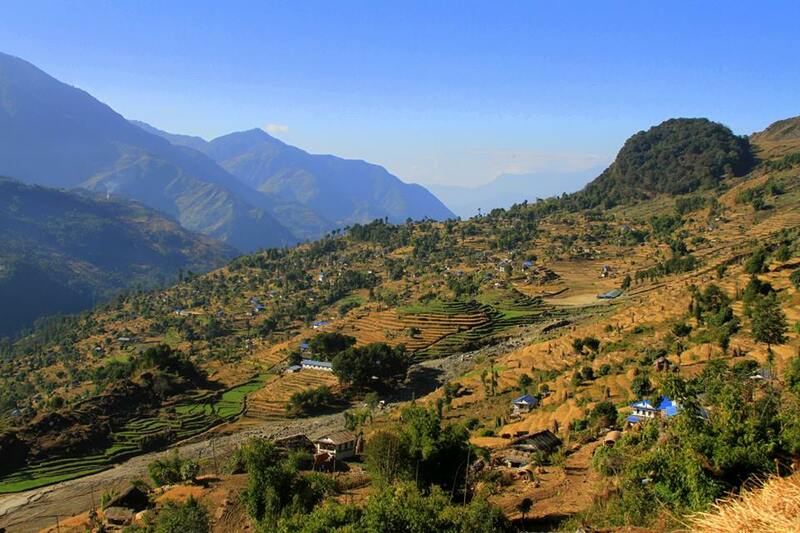 By May, the Mahakulung valley looks green again as millets, maize, potatoes, wheat and barley mature. In June and July, Mahakulung looks so green as this is Summer season for us. My people are so busy during this time doing agriculture work. 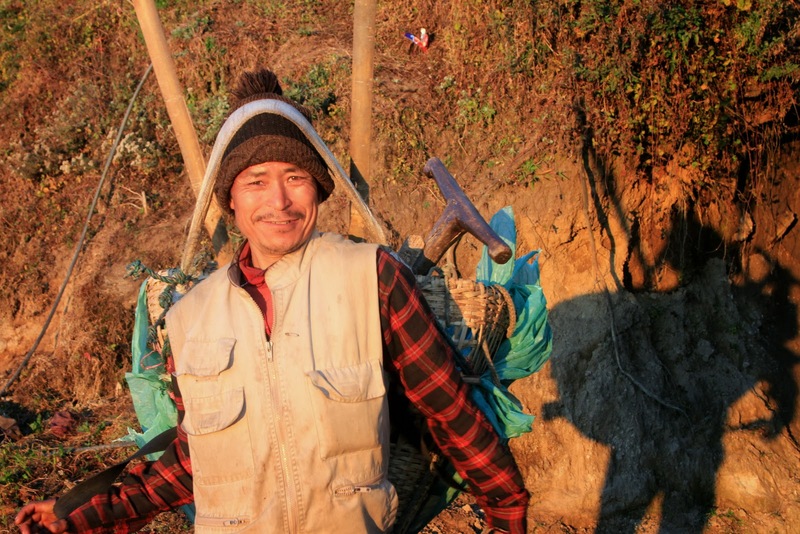 The Kulung will come back from the Everest trekking trails to assist their family members with their farming activities. 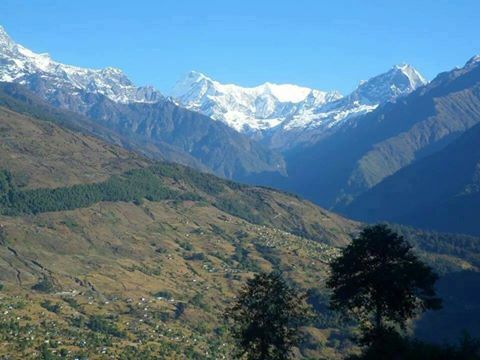 The Mahakulung has countless natural resources provided by our hilltops and worldwide known snow-capped mountains, from our meadows to our dense forests, including many important medicinal plants. But unfortunately, this area remains highly isolated from modern-day facilities. It’s time for more people learn about our piece of heaven. 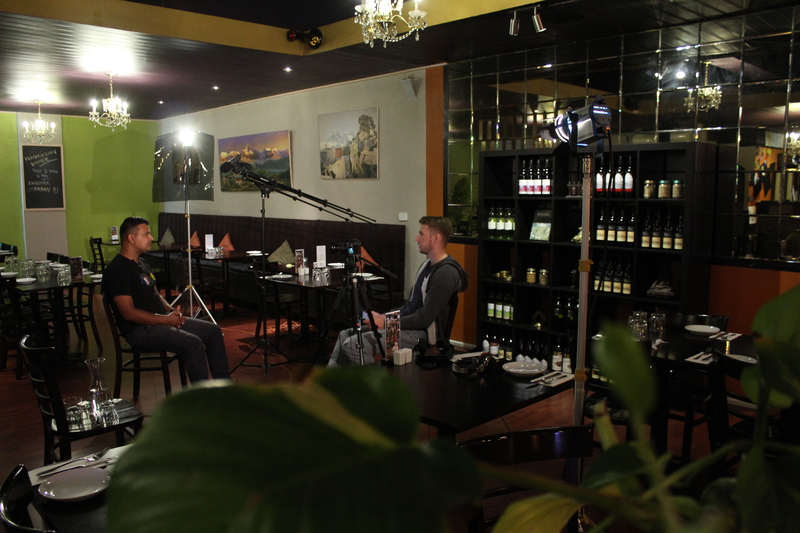 Hallam and Fil from the Carrying Everest team have been doing some filming on an inspiring Canberra-based charity called the Reach for Nepal Foundation. R4N are a fantastic organisation doing some great work for the people of Western Nepal. We are taking some time out from our busy schedule with Carrying Everest to do a profile on Lachhu and his work with the Foundation. 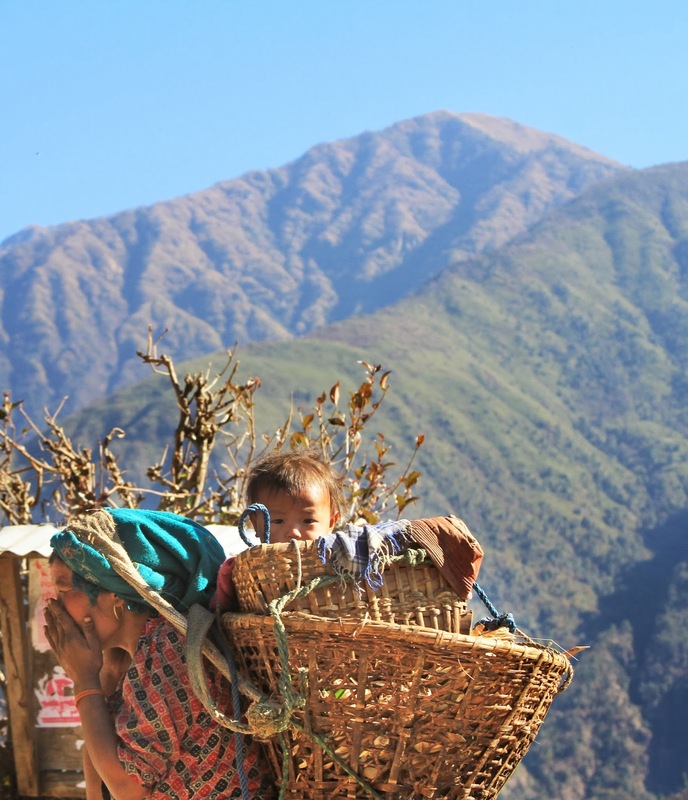 The Dzi Foundation recently posted an amazing photo essay of the very villages at the centre of Carrying Everest. Many of the photos were taken by our friend Heema Rai, who has contributed many of the photos used on this website. Take the time to view some of these amazing photos from such a rarely-photographed region and see where the Carrying Everest crew will be heading in 6 months. 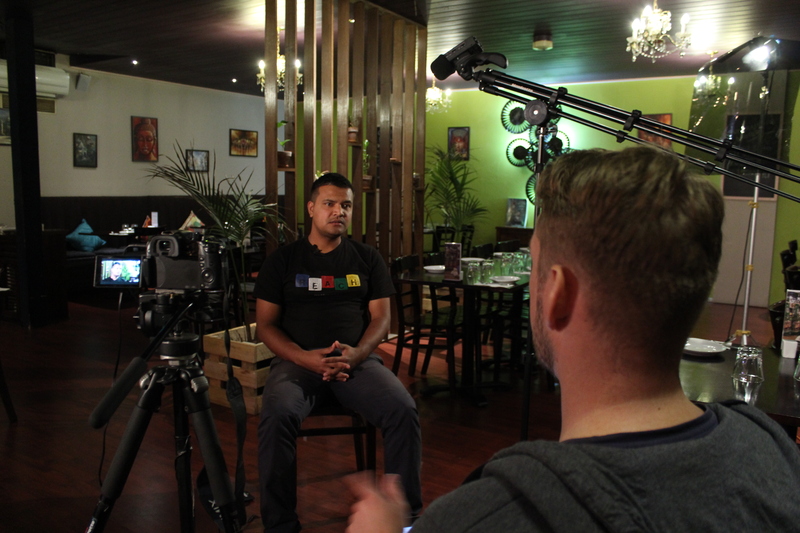 In recent weeks, the team have been able to chat to two of Canberra’s news outlets who have generously run a couple of stories on our upcoming documentary. A link to each article is provided below. Carrying Everest’s composer, Jeff Zampillo, is hosting a radio show on Thursday night (Friday 2 October in Australia). 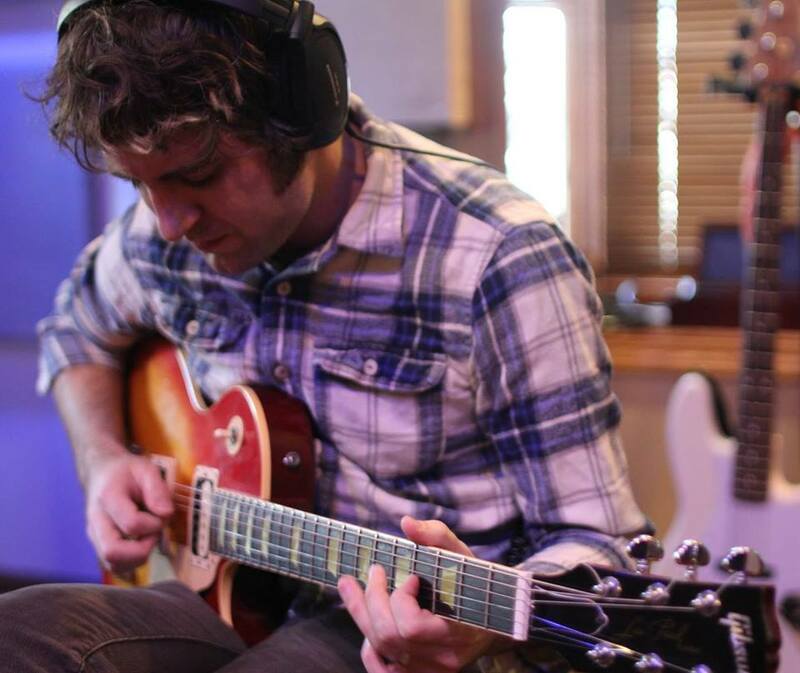 Jeff will be talking about his new album with The Pneumatic Transit, as well as chatting about his work on Carrying Everest and playing some of the music he has worked on for the film so far. You can listen in from 4pm Chicago time on Thursday (or 7AM on Friday – Australian EST) at http://stereo.wavestreamer.com:7057/index.html?sid=1 or search for WVLP – 98.3 FM on one of the many free radio apps. Of course, you can tune in directly if you reside in the Chicago area on Thursday afternoon. As a side note, Hallam is currently working on a music video for The Pneumatic Transit – and he thinks the album is absolutely amazing. Get a copy when it is released on 13 October. Discourse is plentiful on what is contained within the frame, but often it is what sits just out of shot that is lending the scene shape and form. The same is true for the Kulung of Eastern Nepal. Despite the countless books, films and musical tales of conquest and endeavour, little has been spoken of those behind these tales. 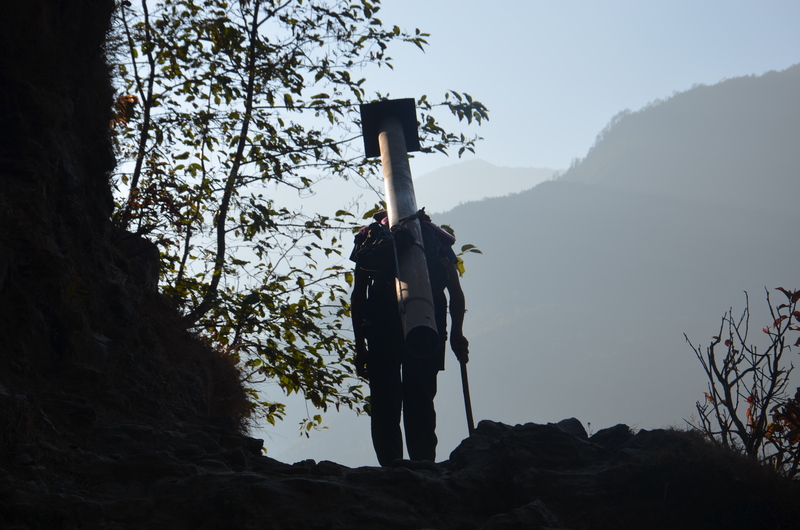 Without the porters, shopkeepers and teahouse workers – there would be very few gallant tales to be shared around the proverbial campfire, thousands of kilometres away in foreign lands. The story of the conquest Everest continues to play, decades after Edmund Hillary and Tenzing Norgay’s famous ascent, and often it is told in Western treatises. Modern day Everest travel/mountain-writing (and film) continues to define relationships strictly in terms of conquerer and mountain, climber and porter, employer and employee. In 2014, out of friendship and curiosity, I resolved to to make a documentary about one of these ‘forgotten’ people of Everest. The concept is not an attempt to alleviate a perceived deficiency in Western conversation about the Everest subject. The intent, rather, is to spark the flicker of a flame. In 2013, I visited Nepal for the first time. A friend who I worked with at Oxfam put me in touch with two fantastic people whom I met in back-alley cafe of Thamel, the main tourist trap in Nepal’s chaotic capital of Kathmandu. Over a couple of aptly-titled Everest beers, we discussed what it was like living in Nepal and how they were working to improve the lives of those around them. One of these two courageous men was named Dilip, who told me about the hardships his people face in the Solukhumbu region of Nepal. This discussion consequently sowed a seed in my heart and mind – I wanted to discover more, and find a way to help. 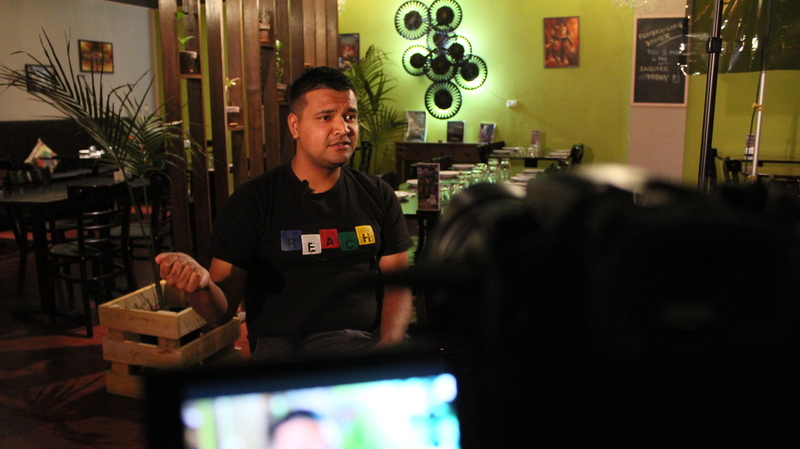 Shortly after my trip to Nepal, I filmed the short narrative Kiana. After a couple of film festivals and nearly two years of writing, rehearsing, filming and editing, I took a short break from filmmaking. But when the drive to venture back to that world returned, I could think of only one project I wanted to do: to share the story of those living in the shadows of Sagarmatha. In many respects, the idea of a creating a documentary is more daunting than a narrative fiction. 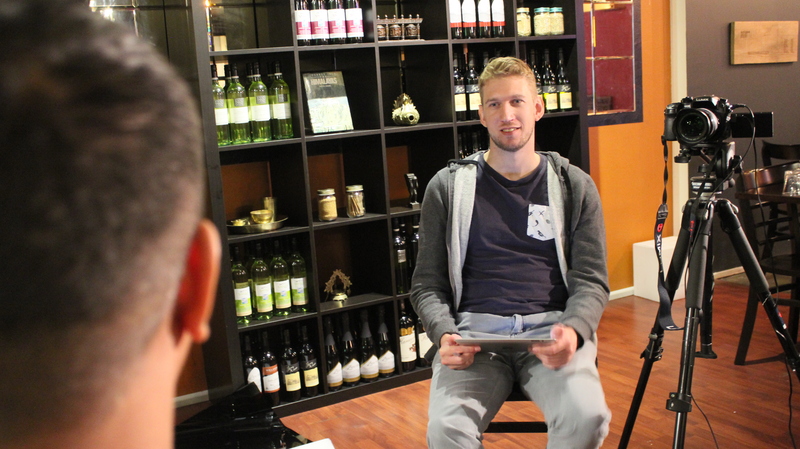 With narrative form, you have the chance to shape the film with a script – to know exactly what you need and have the ability to identify how that is to happen. In the instance of Carrying Everest, the starting point is less clear. While some documentaries have a wealth of background to draw from – for example a historical event – this film started with a brief conversation in Kathmandu regarding an issue I had never heard of. As I began to try and research the Kulung and where they lived, I noticed just how little literature in English was available. There were a couple of sites on the internet that spoke of the issues Dilip mentioned, and these I read thoroughly. I managed to find one or two anthropological texts, including one by Charles McDougal which was published in 1979. But the majority of other material was either in a language other than English or out of print. Eventually I was able to hone my research the more I learnt; as I began to learn about village names, issues, themes and so forth, I began to locate articles, blogs and photos of the place I had only read about. 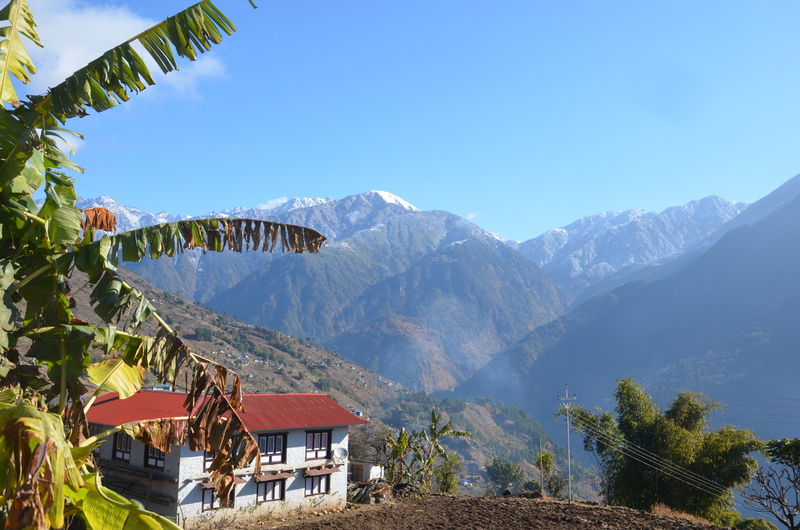 As such, I am largely indebted to Heema Rai, who wrote a fantastic blog about her travel to and observations of Mahakulung. Her photos were some of the first images I saw of the region, while her writing articulated- and in turn bound the loose understanding I had in my mind – the issues the Kulung face. It was also Heema’s writing that inspired the name Carrying Everest, such a fantastic and concise description of a complicated issue. But there is excitement in creating a documentary where there is little background information. And importantly, it emphasises not just the physical isolation of the Kulung, but the social and political inequality they face. In truth, I see the value in maintaining an open approach to the filming. Thinking reflexively, it is far better for the Kulung to tell their own story. It would be a failure and mistake to attempt to conceptualise what the film is about in this circumstance. That is not to say that this would be a failed methodology, however, it is more applicable to another type of documentary. The main purpose the film is to allow them to share their stories, their hopes, their struggles and their triumphs. Having a limited research background is far from a negative thing with this context in mind. Ultimately, the film’s central question is ‘who are the Kulung?’ The aim is to seek the many answers to this inquiry, and in turn, allow their stories to be a catalyst for the change they strive for.